Here’s the kicker. 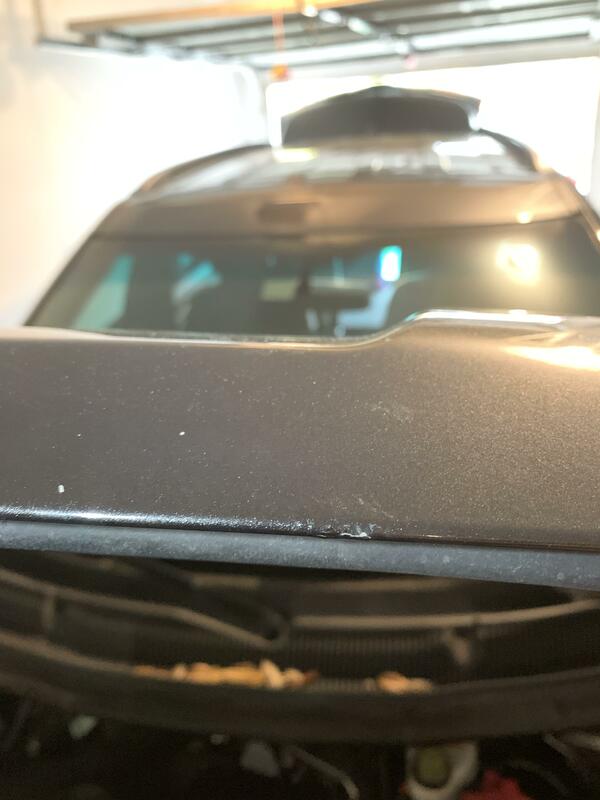 Dealership said Ford is sending a black unpainted hood and the dealership will have to paint it....this doesn’t seem right to me. No way can a dealership get the same factory paint quality right? To me ford should be sending a factory painted hood. Am I wrong? I would be pissed if I had a car that new with this issue. Especially since it happened to mustangs years ago and they should know how to prevent it from happening. Having said that, I think you should be happy they are planning on replacing the whole hood. The dealer my sister went to said they would just repaint her current hood. She pointed out that there have been lawsuits about this because the hoods just get bubbles again. Something to do with the minerals in the hood material. So She is having to fight with her dealership to replace the hood at all. Hopefully the new hood they send you doesn't have the same problem. Do you have pictures of what this looks like? I am starting to see something like this on the edges of my hood. Here’s one spot. All on the leading edge of the hood. They said there’s been common problems it’s rear bumper as well. That looks awful. I have the same paint color on my 2018, but no signs of that. Id be ok with having the dealership paint it for two reasons and assuming they have a skilled painter. The person will most likely prep the hood properly and apply the proper coats evenly. Also, it is possible the hood can be off a bit when compared to the fenders. To solve that, the painter may blend the fenders a bit. Of course the fenders will need to be prepped. First of all "the dealership" is not going to paint it. They will send it to a local paint/body shop with whom they have many years of a partnership. You can trust that the paint will match and be baked on. Second you will be getting genuine Ford parts, not aftermarket. Third they only paint parts in assembly. It's cost prohibitive to send your hood to be painted and repackaged and shipped. And when received at your dealership it's scratched or dinged in some way. Fourth your car is so new the paint will absolutely match even if you have left in the desert for the last 2 years. Fifth I have a 2018 in the same color, Magnetic. I would be interested in an update when you have one. I have a 2018 Magnetic. Unfortunately, I crunched the mailbox on the right rear quarter of the vehicle when backing up in rain. Looked like a cat with claws scratched and dented the metal. The Ford dealership I had the work done at actually has their own paint-shop and did all the work on the premises as most of the Ford dealerships in my area. Some dealers have the entire facilities, others may not. 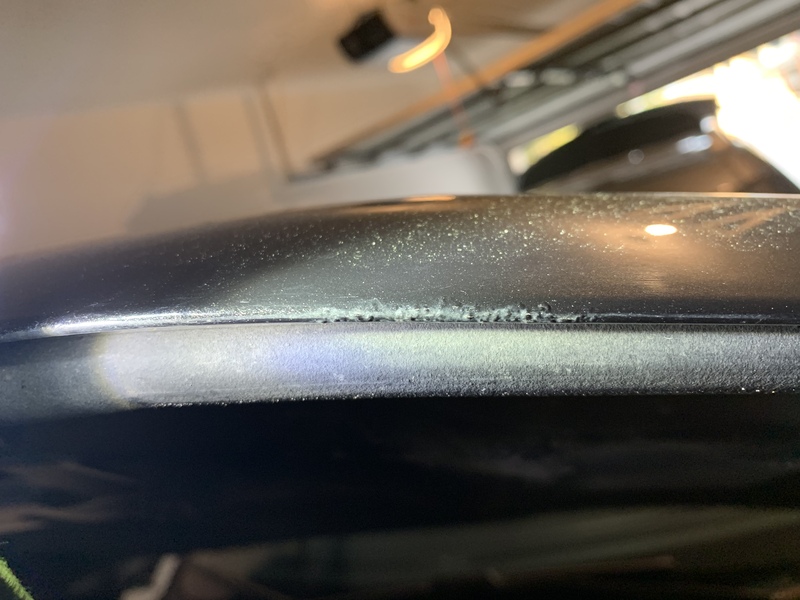 The paint for the Magnetic on the repair was blended onto the entire rear quarter and part of the trunk hatch to blend. The repair looks undetectable. Metallic can be a bit trickier than non metallics when painting. 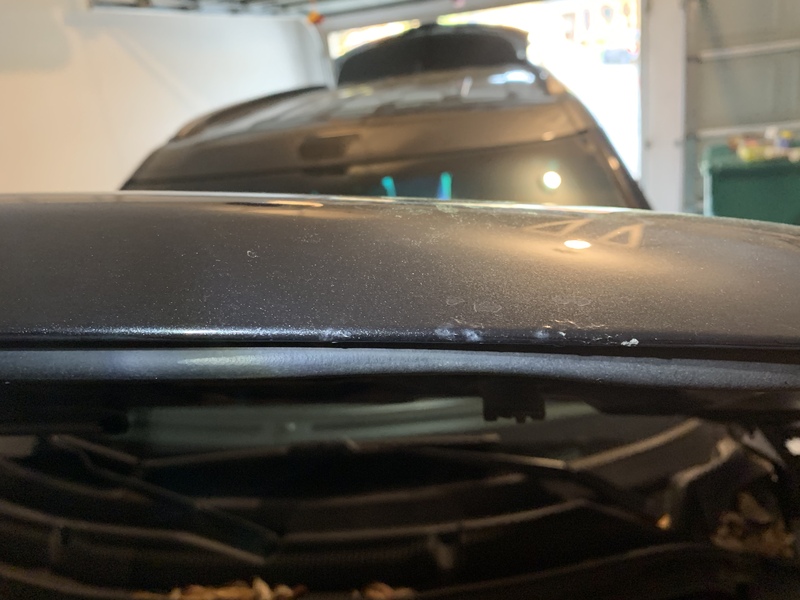 interestingly, my wife had a 2015 GM car whereas the fenders and bumper paint did not match from the factory because GM painted the bumpers separate from the fenders and hood. The metallic paint in the bumper actually looked darker than the fenders. Metallic can be tricker to match.